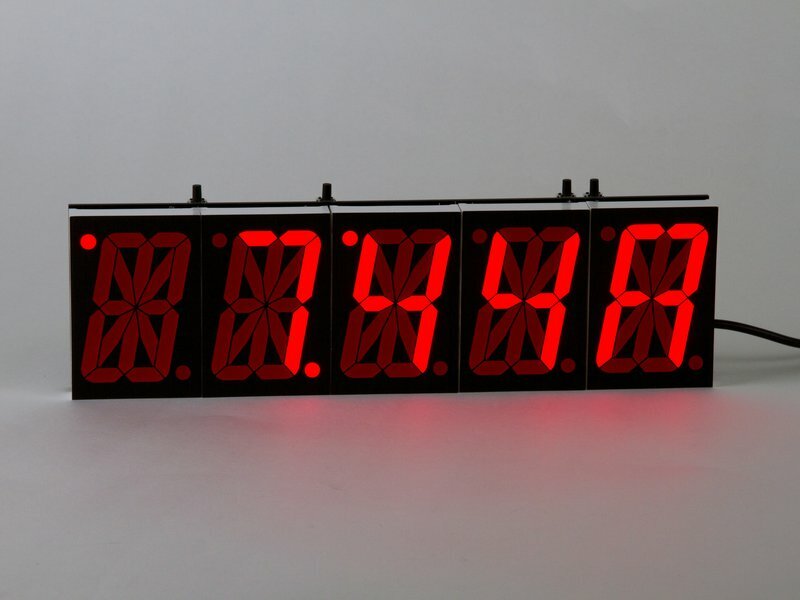 The Alpha Clock Five (Basic Edition): An awesome alarm clock soldering kit-- featuring five crazy-bright, crazy huge 2.3" alphanumeric LED displays in red. 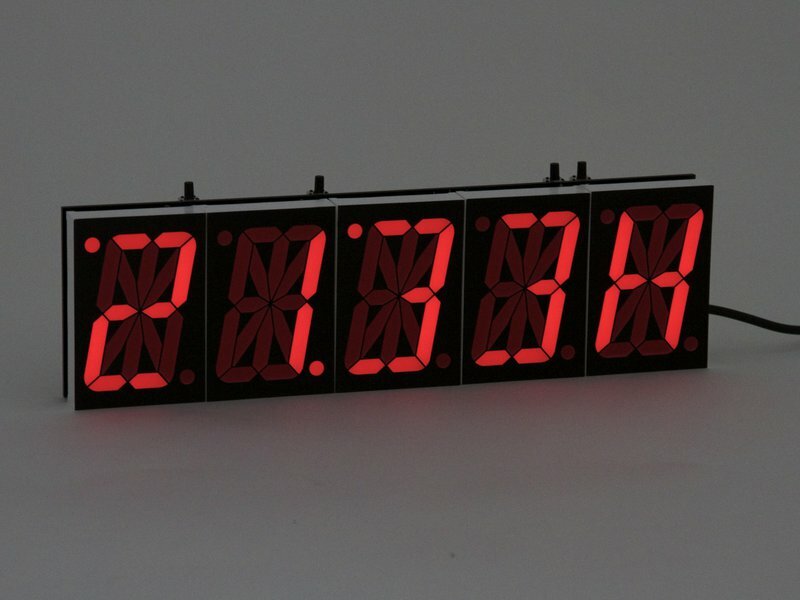 A great starting point for making a fantastic bedside clock or alphanumeric data display device. 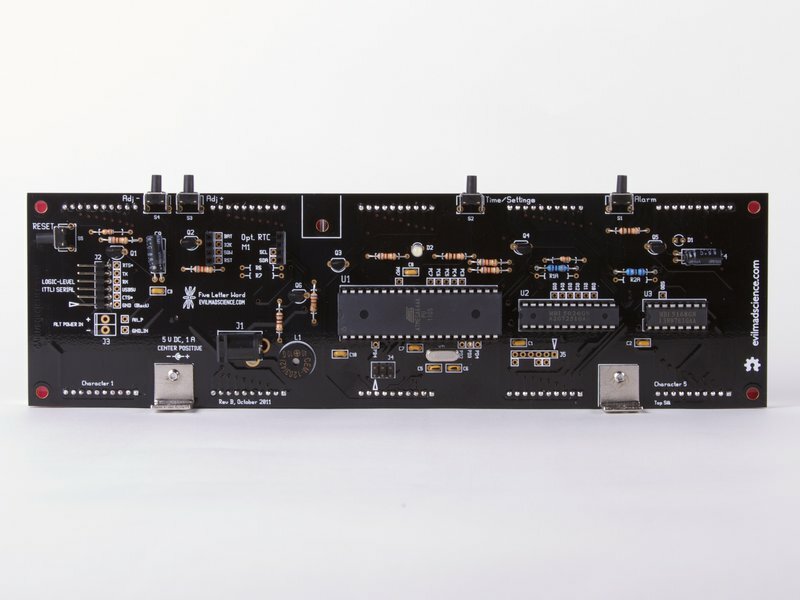 Based on the ATmega644A microcontroller with 64 kB of flash, with plenty of room to grow. 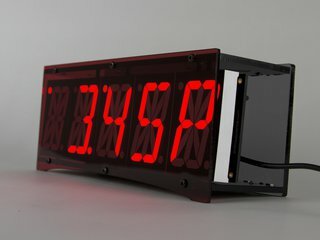 This "Basic Edition" of Alpha Clock Five comes complete with the Alpha Clock circuit board, the five alphanumeric LED displays (ultrabright red, 2.3" character height, with upper and lower decimal points), machine pin sockets for those displays, pre-programmed ATmega644A microcontroller with Sanguino bootloader, 5 tactile button switches, 20 ppm quartz crystal, universal-input plug-in power supply, stainless mounting hardware, alarm buzzer, all of the the LED driver chips, transistors, resistors, capacitors and other little parts needed to build the kit. 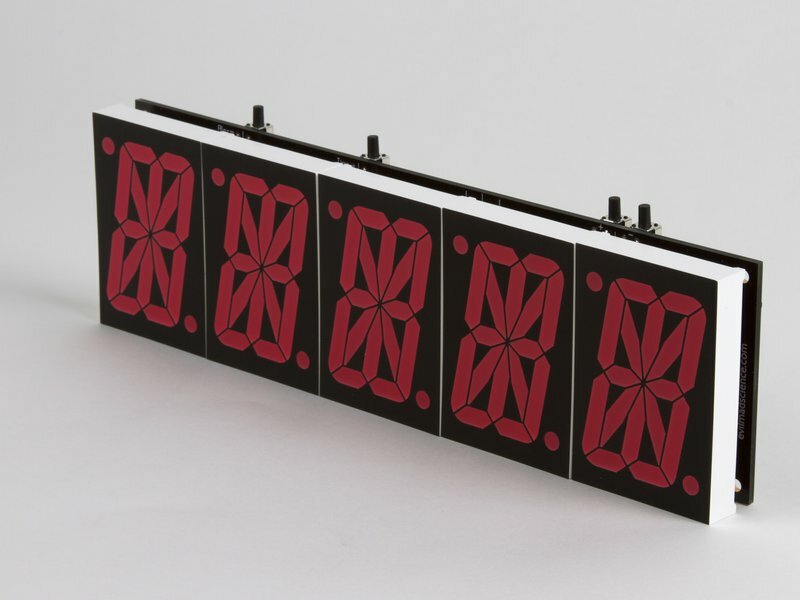 The Alpha Clock circuit board is 9.430 X 2.736" in overall size, and extra stiff at 0.094" thick. 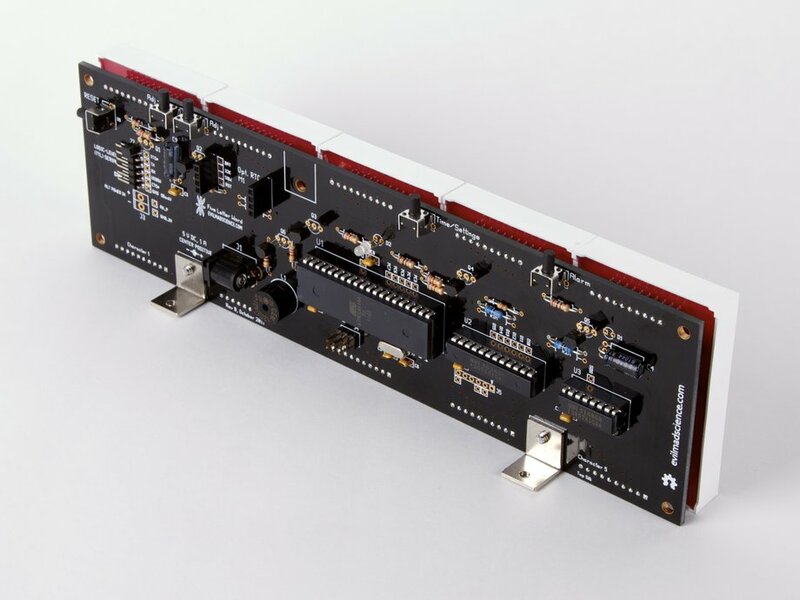 It has a black soldermask and gold plated finish. 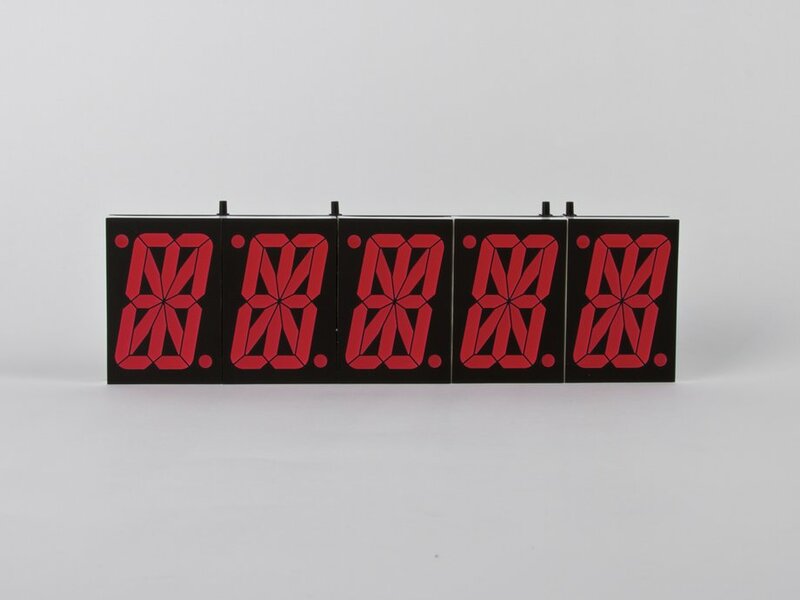 Assembled with the socketed alphanumeric displays, the kit ranges from 0.8 to about 1.3" in thickness, with the different components on the back side. 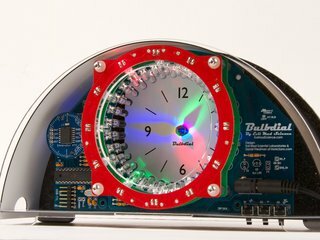 The Alpha Clock Five (Basic Edition) kit has a socket on the circuit board to accept an optional Chronodot module as an upgrade. 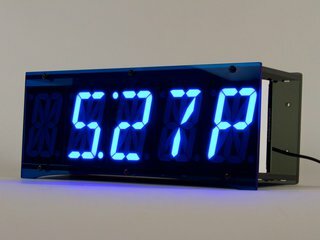 It provides your clock kit with (1) a higher accuracy quartz crystal oscillator, (2) a backup battery, and (3) extra geek cred for having a TCXO-based RTC. 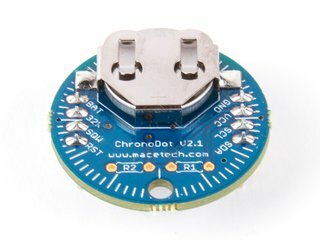 The Chronodot's battery is estimated to last for 7 years. 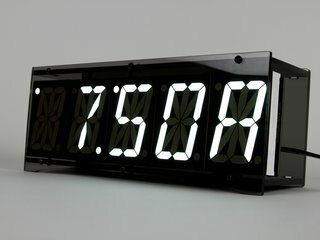 Alpha Clock Five is sold as a soldering kit [?]. 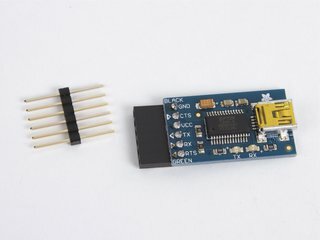 Basic electronic soldering skill is required, and you provide basic assembly tools: a soldering iron + solder and small wire clippers, plus a medium-size (#1) Phillips-head screwdriver. 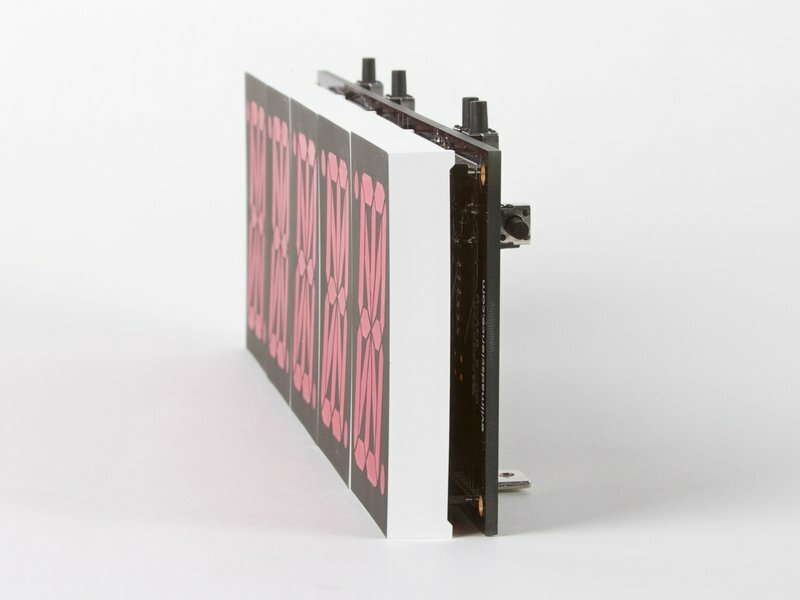 You will also need internet access to read or download our detailed assembly guide. 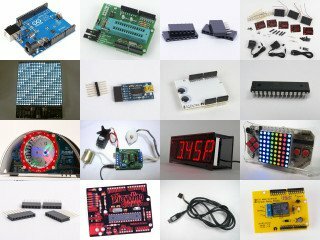 No additional knowledge of electronics is presumed or required. Easy "through-hole" construction and clear, photo-heavy instructions are provided. 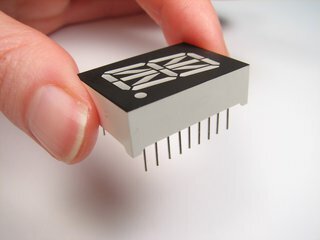 Assembly time: 1-3 hours, depending on your level of experience with soldering.